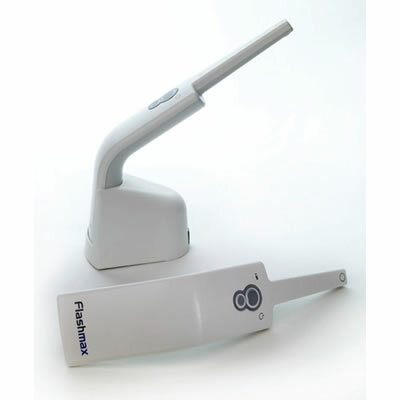 Prior to the development of the dental curing light, clinicians placing resin-based composites were limited to the use of self-curing resin materials. 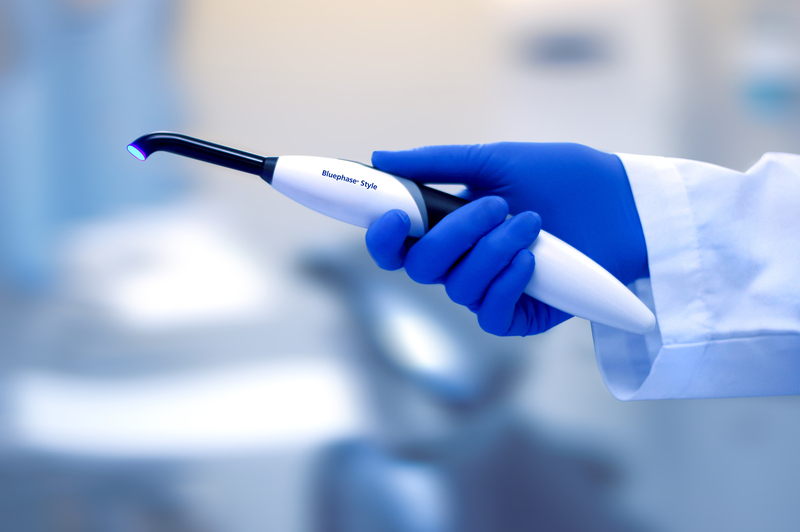 Introduction of curing light technology led to the development of light-activated resin materials that require no mixing and can be dispensed directly into the site. 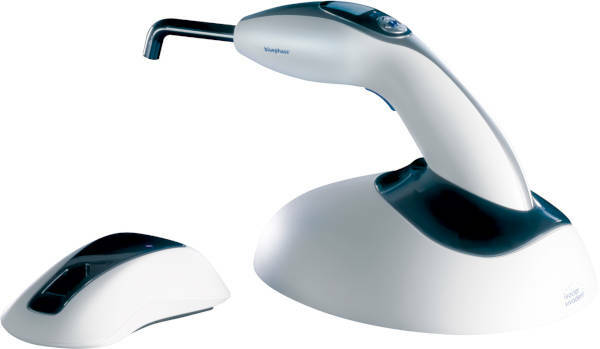 The two most commonly used dental curing lights are the tungsten-halogen and the light-emitting diode (LED). 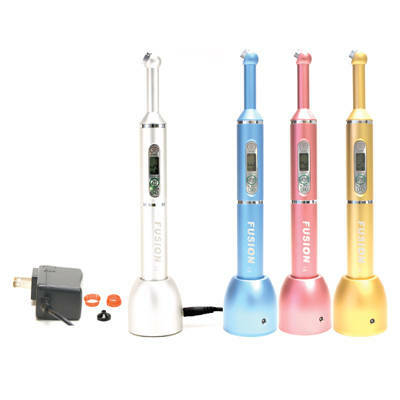 The tungsten-halogen is the most frequently used polymerization source in dental offices, and provides a blue light with a wavelength of approximately 400nm-500nm and an intensity of 400- 600 mW cm2. 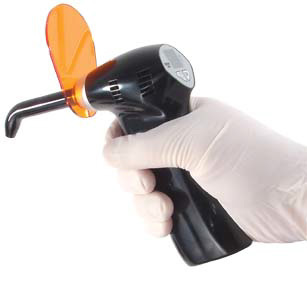 High temperatures generated by the filament necessitate the use of a ventilating fan. 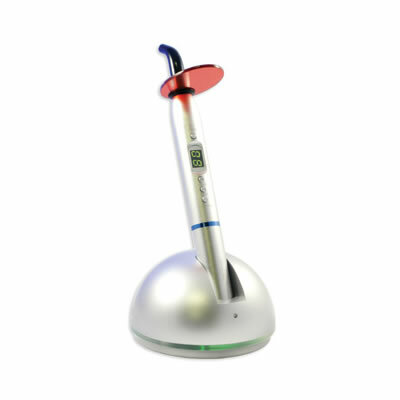 LED curing lights use one or more light-emitting diodes that produce a narrow spectrum of blue light in the range of 400nm to 500nm. 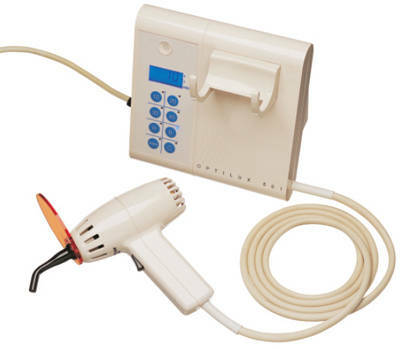 With much less generated heat, LEDs do not require cooling fans, enabling design of smaller, more lightweight units. 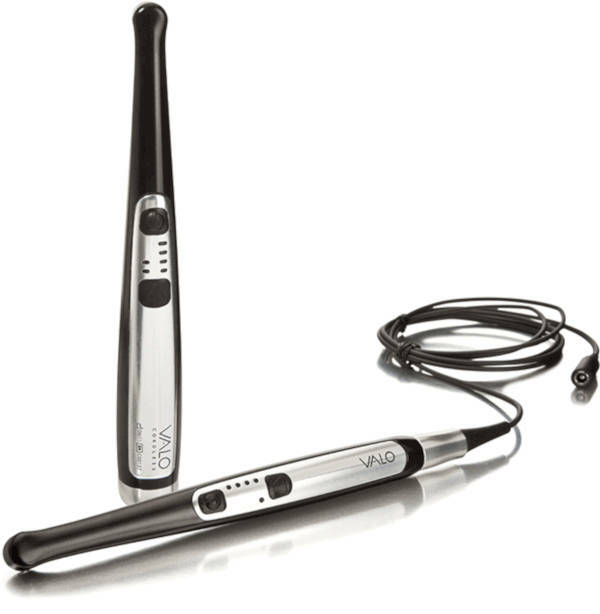 Portability and convenience are further enhanced by the use of rechargeable batteries. 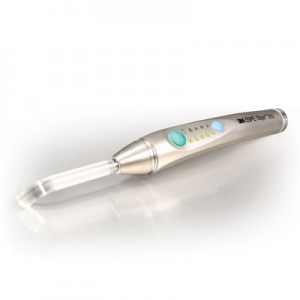 The high-powered LED curing light cures faster than the halogen and previous LEDs, using a single high-intensity blue LED with a larger semi-conductor crystal. An output of 1,000 mW/cm2 increases light intensity and the area of illumination, and a highly reflective, multilayer polymer mirror enables emission of this unit’s high-intensity light.